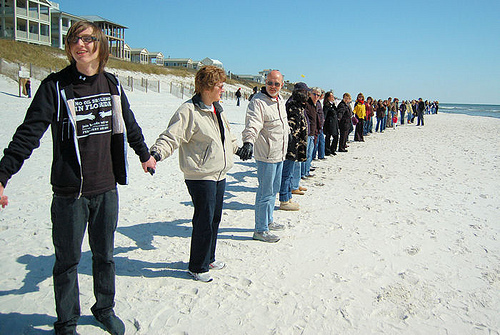 Orlando may not have a beach, but that doesn’t mean the city won’t have its own Hands Across the Sand event. The event, which focuses on saying No to filthy fuel sources and Yes to clean energy sources, started in Florida in 2000, but is now a global event. These gatherings will bring thousands of American and Global citizens to our beaches and cities and will draw metaphorical and actual lines in the sand; human lines in the sand against the threats Fossil Fuels and offshore oil drilling pose to our present and future planet. Participants are asked to meet at Lake Eola, Saturday, August 4 at 11 a.m., wearing a black T-shirt or tank to represent drawing a line against dependency on oil/fossil fuels. The goal will be to have enough supporters to join hands around Lake Eola. Check out HandsAcrossTheSand.Com for more info.